Healthwatch Portsmouth is working with Portsmouth City Council to administer the Portsmouth Autism Community Forum. The Autism Community Forum is a place where people with autism, their families and carers can meet with service providers such as the council, health services and support groups. We want your views and for you to have your say to make services in Portsmouth better. On Saturday 2 March 2019 Sarah Hendrickx will be speaking at a National Autistic Society South Hampshire branch seminar at the Chandlers Ford Methodist Church, Winchester Road, Chandlers Ford SO53 2GJ. On Sunday 10 February 2019 Future in Mind will be running a conference for young people age 12-25 looking at young people’s mental health. Speak your mind is a conference for young people aged 12 to 25 to shape how schools and services in the city respond to the mental health of young people. The event is being run by Future in Mind, a group of young people who work with services and commissioners to improve mental health services. 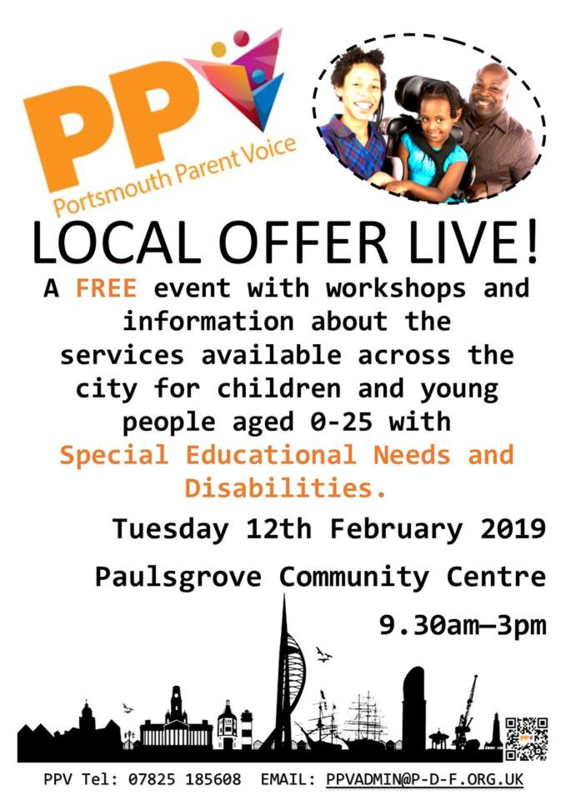 The Portsmouth Autism Community Forum is a place where people with autism, their families and carers can meet with service providers such as the council, health services and support groups.